Hundreds of workers at Chicago O'Hare International Airport plan to strike on Tuesday, November 29. "It was never their intent to disrupt travel," said the spokeswoman. "They do want to gain public support." "After building their case for $15 and union rights, O'Hare workers are ready to do whatever it takes to make sure the city, their employers and the airlines listen to their concerns," the workers said in a statement. The airport workers in Chicago are employed by Prospect Airport Services, AirScrub Inc. and the city of Chicago. 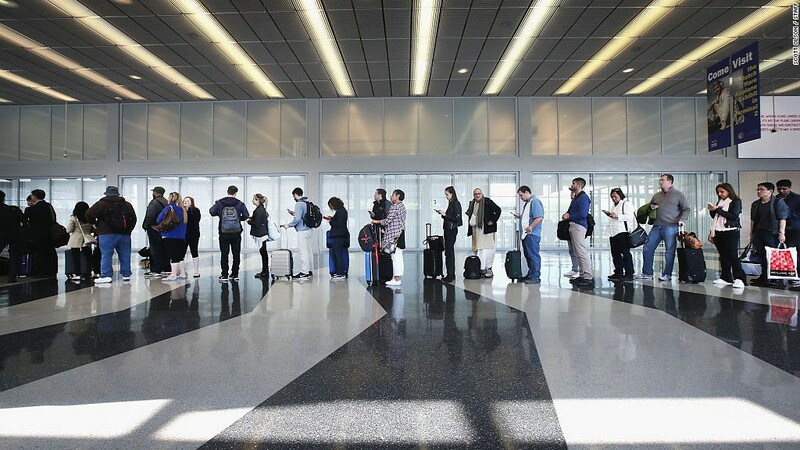 O'Hare is a hub for both American Airlines (AAL) and United Airlines (UNITED), and many disruptions there could have a ripple effect on flights across the country. Both airlines said they are taking the necessary steps to avoid inconveniencing fliers. "American supports better pay for workers across the board. We also respect the right of employees and workers to organize," the airline said in a statement, "but we do not get involved in union representation discussions with our vendors and their employees." O'Hare is the second busiest airport in the U.S., handling 77 million passengers last year. AAA estimates that 3.7 million people will fly throughout the U.S. over the Thanksgiving holiday, from Wednesday through Sunday. As O'Hare workers strike on November 29, other workers around the country also plan to protest low wages and alleged mistreatment. Fast food employees at McDonald's (MCD) restaurants in 340 cities and other supporters have planned rallies at O'Hare, Los Angeles International Airport and Newark-Liberty International Airport on the same day, the union spokesman said.